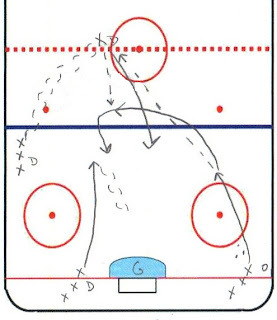 You could also run this drill from Center but I like the skating and movement of the drill. 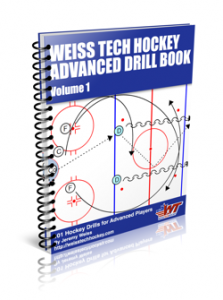 There will be times when the only option is to move the puck to a D and then re-enter the zone. 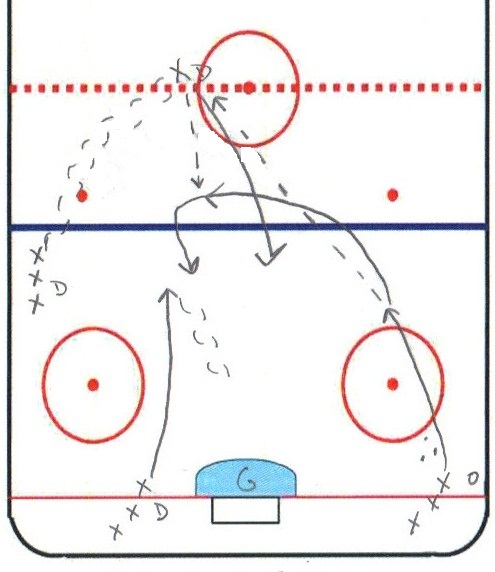 This will teach them to keep moving and get open for the return pass.